Sen. Kamala Harris and her husband reported a total income of about $2 million in their 2018 federal tax return, according to a large release of filings on Sunday by the California Democrat that her presidential campaign is billing as the “most transparent” of the sprawling 2020 field. 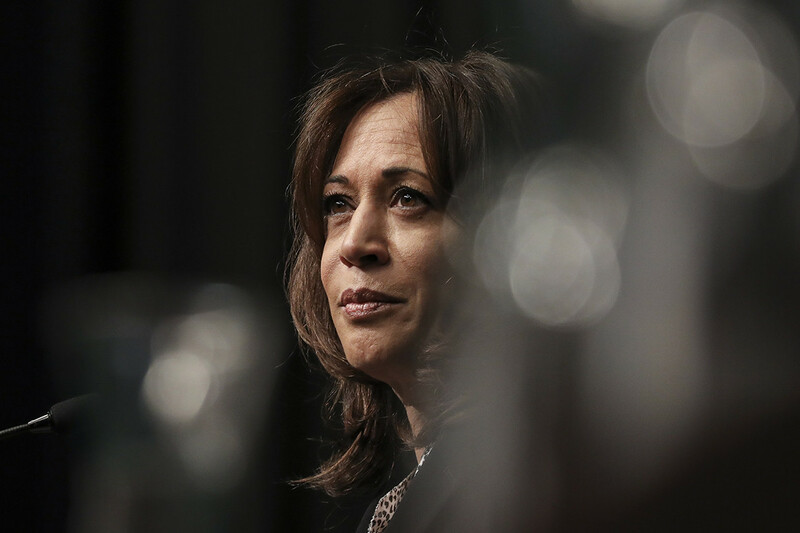 Harris released 15 years of tax returns in all — three more than any other candidate. Harris’ records cover every year since 2004, when she was the elected district attorney of San Francisco. In their 2018 return, Harris and her husband, attorney Doug Emhoff, listed an adjusted gross income of $1.89 million, including Harris’ Senate salary and the $320,000 she made from writing a book, “The Truths We Hold.” Harris and Emhoff were married in 2014, then began filing jointly. In 2018, they paid $563,426 in federal taxes and donated $27,000 to charity. Their average effective tax rate was roughly 32% since they wed.
Harris’ release comes ahead of Tax Day, and the anticipated release of a decade’s worth of returns from rival Sen. Bernie Sanders. Sanders and his wife have recently entered the millionaire class, due in large part to book advances and royalties. During his 2016 run, Sanders released a summary of his 2014 return, pledging to provide more when he became the Democratic nominee. Hillary Clinton, on the other hand, released eight years of tax returns going back to 2007. This time, Sens. Elizabeth Warren of Massachusetts, Kirsten Gillibrand of New York and Amy Klobuchar of Minnesota, and Washington Gov. Jay Inslee, have publicly released varying years of their tax records. Several more Democrats including former Rep. Beto O’Rourke, South Bend Mayor Pete Buttigieg and Sen. Cory Booker of New Jersey have pledged to do so. But the volume of Harris’ release, which including schedules spans 528 pages, gives her bragging rights over the other presidential contenders, as well as a claim to transparency over President Donald Trump, who has long rebuffed releasing his taxes. A Harris campaign aide noted the senator supports legislation requiring a president’s tax returns be made public. Warren’s latest return showed she and her husband, Harvard Law School professor Bruce Mann, listed a total income of nearly $906,000 and adjusted gross income of $846,394, with $324,687 from her book. They paid about $230,000 in taxes. Warren had previously released 10 years of returns last fall. Klobuchar and her husband, attorney and law school professor Jonathan Bessler, earned $292,306 and paid nearly $63,000 in federal taxes in 2017. They released a dozen years of returns. Gillibrand earned about $218,000 last year through her Senate salary and a book deal. In the years before she was married, Harris’ income was mostly derived from public salaries as district attorney and attorney general of California. In her 2004 filing, Harris earned nearly $145,000, which increased to $155,000 two years later; and $223,000 in 2009, including $13,000 in outside income relating to her first book, “Smart on Crime.” Her adjusted gross income was $263,000 in 2010, though that fell to $158,000 as state attorney general in 2011; and $130,000 in 2012. Harris and Emhoff paid $410,000 in federal taxes on $1.2 million in 2014.